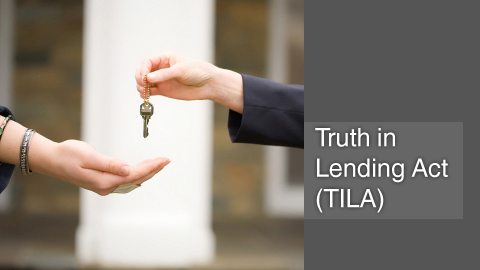 The Truth in Lending Act (TILA) requires lenders to disclose credit terms and the cost of consumer borrowing as an annual percentage rate. Regulation Z, issued by the Board of Governors of the Federal Reserve System (the FRB), implements TILA. The purpose of TILA is to promote the informed use of consumer credit by providing uniform disclosures about loan terms and cost. In the current mortgage market, many homeowners are unaware that there are TILA violations when they originated their home loan. Based on such, we can file a law suit and seek to rescind your loan. What this means for the homeowner is that it can stop a foreclosure and undo the damage your loan caused. To get started and determine if you have a TILA claim and/or for a free and confidential consultation, please contact our office toll free or via email to speak with a Truth in Lending attorney in Beverly Hills.